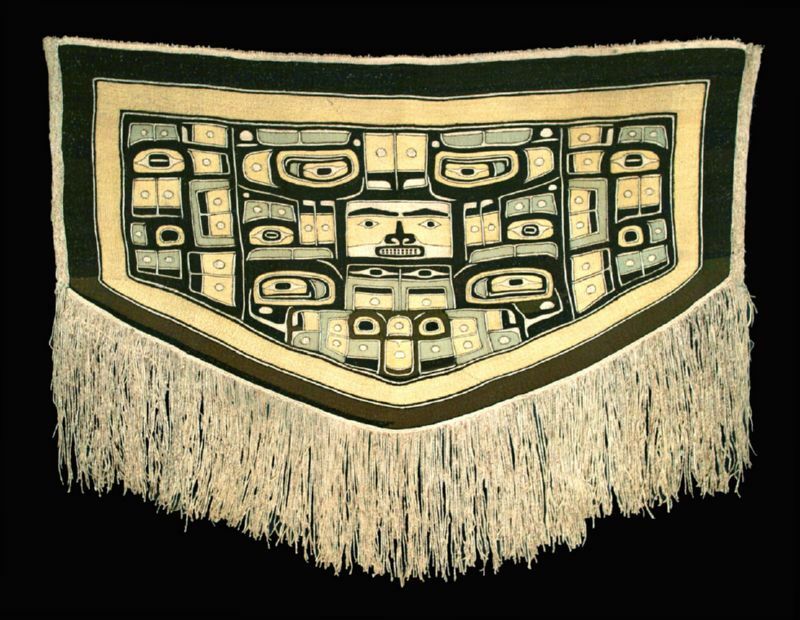 NA-3198 AN EARLY NORTHWEST COAST CHILKAT DANCING BLANKET, Tlingit Tribe, ca. 1860s-’70. Height: 52. in. (132 cm. ); Width: 68 in. (173 cm.). Provenance: From an old private Canadian collection of Northwest Coast Art. This piece was originally collected in Alaska. Masterfully woven of mountain-goat wool, hair & cedar bark, this is an earlier example of the "diving whale pattern", an excellent example of the 'Robe of Nobility'.